Hawkesbury trainers Scott Singleton and Garry White completed successful seasons with wins at the Cessnock meeting conducted at Newcastle on Tuesday. 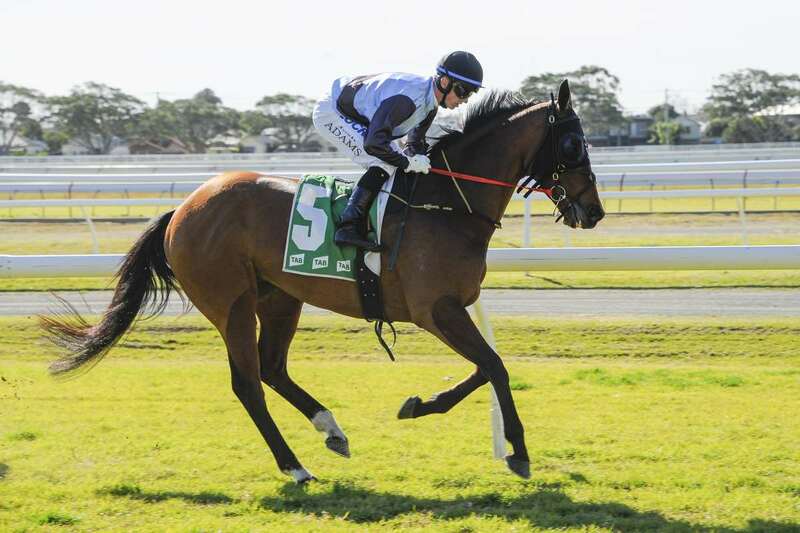 And White’s apprentice Ashleigh Borg broke new ground by riding her fifth winner – the first away from her home track. Singleton scored with odds-on favorite Dad’s Boy ($1.85) in the Class 1/Maiden Plate (2360m), and Borg was successful on White’s mare Lady Chalfont ($2.70) in the Class 3 Handicap (1200m). Singleton had no problem backing up Mosayter gelding Dad’s Boy after his third to Night Breaker in a Gosford Maiden Plate (1900m) last Saturday when he put blinkers on him. With Josh Adams aboard, Dad’s Boy broke through after five placings, comfortably beating Power From within ($6.50) and Sunsout Shirtsoff ($3.20). The victory gave Singleton 33 winners for the 2017-18 season; only one shy of his best (34) in 2014-15. His $11,085 first prize with Dad’s Boy and $1870 third prize with King Ryker ($6.50) in the Class 2 Handicap (1570m) boosted his prizemoney earnings for the season to $938,985; not far short of last season’s benchmark of $957,935 (when he won the $200,000 Group 3 Blacktown Workers Club Hawkesbury Guineas with Shazee Lee). White’s victory with Dupont mare Lady Chalfont was his 17th for the season; his best result since winning the same number of races in 2009-10. His 17 wins during 2017-18 included 11 at Hawkesbury; the most by any local trainer at home meetings. He also won three races at Orange including the Cup with Letter To Juliette. Borg’s first four wins were all for White at Hawkesbury, and her 4kg claim proved very handy at Newcastle, lessening Lady Chalfont’s weight to 55.5kg.